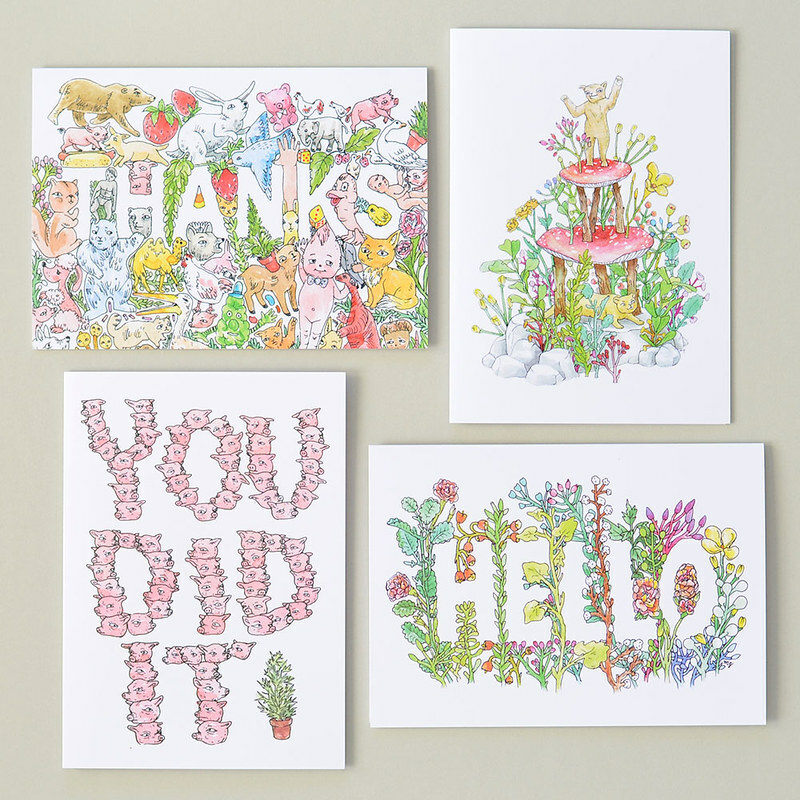 we have some fun new greeting cards in the shop! four feature my funny/pretty illustrations (a couple of which you may recognize from this post). 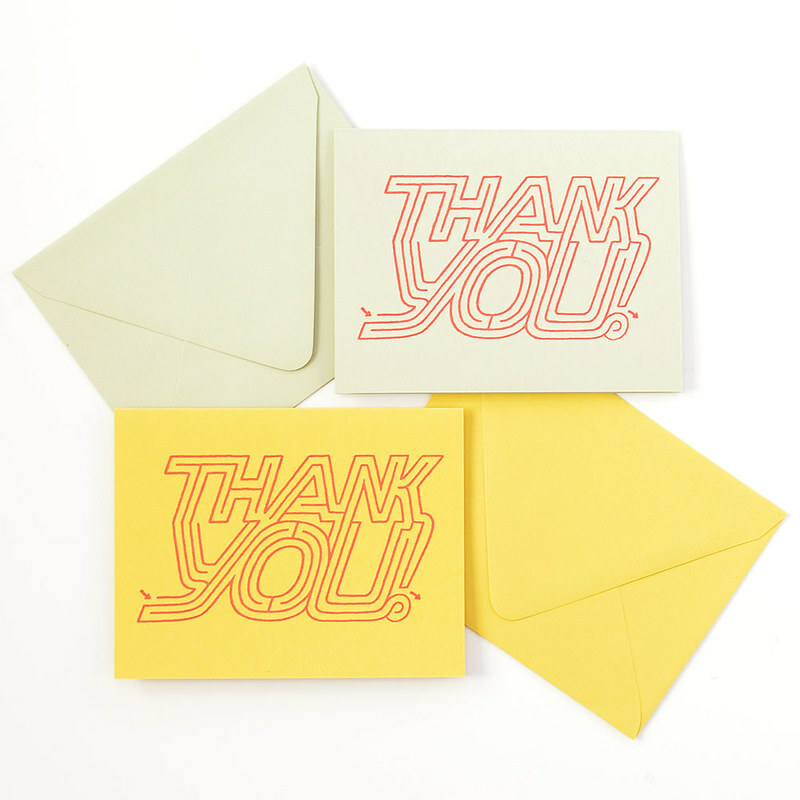 also, david designed an awesome "thank you maze" that we hand-printed with our gocco press on deluxe colored cards. 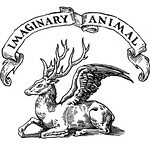 and we're having a valentine's sale: use coupon code BEMINE15 to receive 15% off your purchase at www.imaginaryanimal.com! (good through 2/15/15). 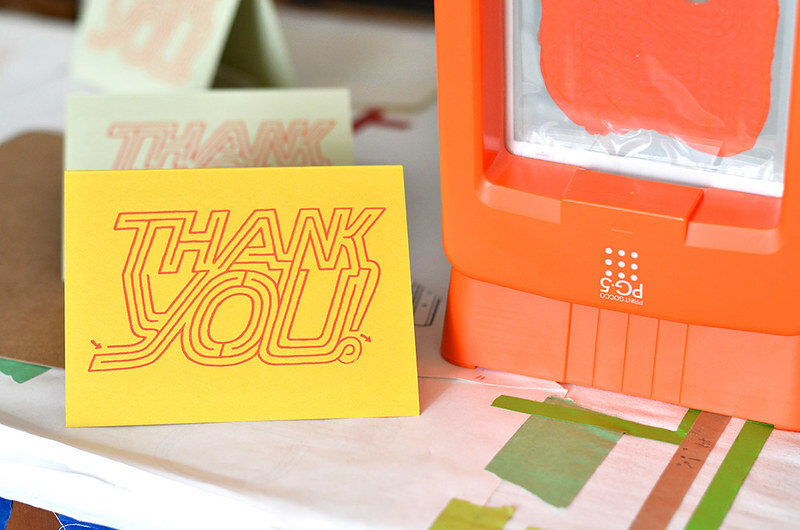 we didn't realize at first that our ink color matched the gocco press perfectly!